The holidays are officially upon us! Thanksgiving has passed and while everything might be merry right now, this is when I gain those few extra pounds that I never intended to gain. On that note, who’s really going to say no to food? Not this girl! Therefore, I have found us holiday-food-lovers a better alternative to turning down our favorite treats. A full body Post-Thanksgiving workout! Now, this routine is meant to be done through the course of 4 days. You’ll work on cardio, arms, legs and your abs. Each day you’ll have 5 different workouts that can be easily done at home or at the gym. Best part is that there are no machines required! Once you start this workout take one day in between to relax your body and muscles. You never want to over-exert yourself. 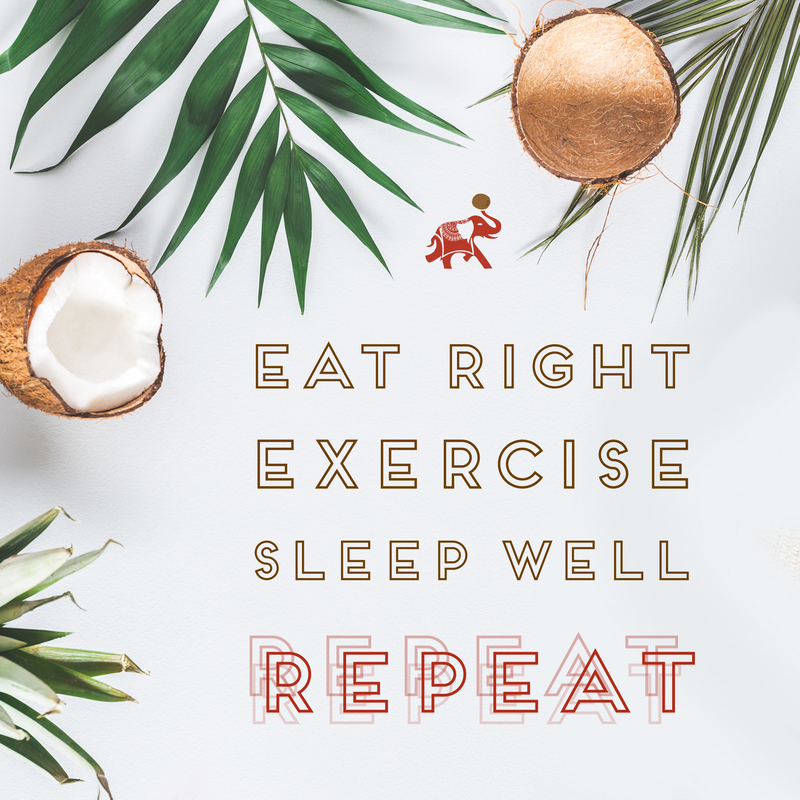 If working out in the morning is easier for you remember to add our Kelapo 50/50 Blend of Coconut Oil and Ghee to your drink for added focus and energy. You have the choice of blending it with your favorite smoothie or even your coffee! This will give you the motivation you’re looking for. If you’re having any difficulty with doing these workouts, I have attached videos for your benefit. Please remember before performing any exercise to stretch your body to avoid any injury. Now, let’s get started! Remember to constantly hydrate during these exercises. Let us know how your workout went below!